The outlet of Upper Twin Lake in the Desolation Wilderness. Over the last week and a half I was on the road, completing 12 more hikes for my new book. It was a long, hard but great 10 days. In some ways, this felt like the first really deep immersion into the Sierra. It is true that I took a long trip through the Sierra in June but most of those trails were in the lower elevations and not necessarily in the range’s high country. That does not make them any less “Sierra” or majestic, but the constant exposure to the higher elevations on this trip gave these trails a much different and more classic Sierra Nevada feel. I began the trip in the part of the range that lies north of Interstate 80 and worked my way south. It was essentially a grand tour of the grandest of mountain ranges. 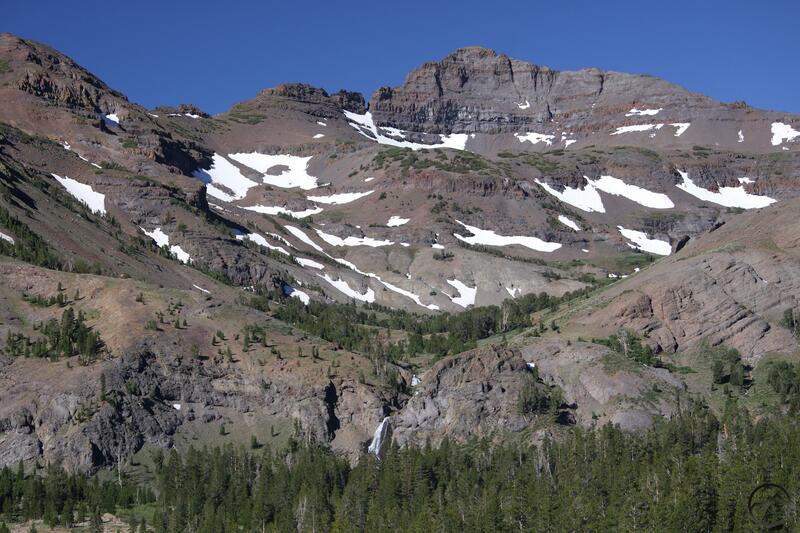 Going south from the Cascades, the Sierra’s terrain is initially more subdued and it is not until south of the Feather River that really rugged, rocky country appears. This area consists of large, rocky islands amidst a vast sea of forest. South of I-80 I moved into the Lake Tahoe area and hiked more trails around the rim of the lake, in the Desolation Wilderness and the Dardanelles area. From here I skipped the central part of the range and went to the Mammoth area, since my brother and his family were camping down there. After hiking a couple of trails in the High Sierra, I returned to the central part of the range and hiked more trails before returning home. 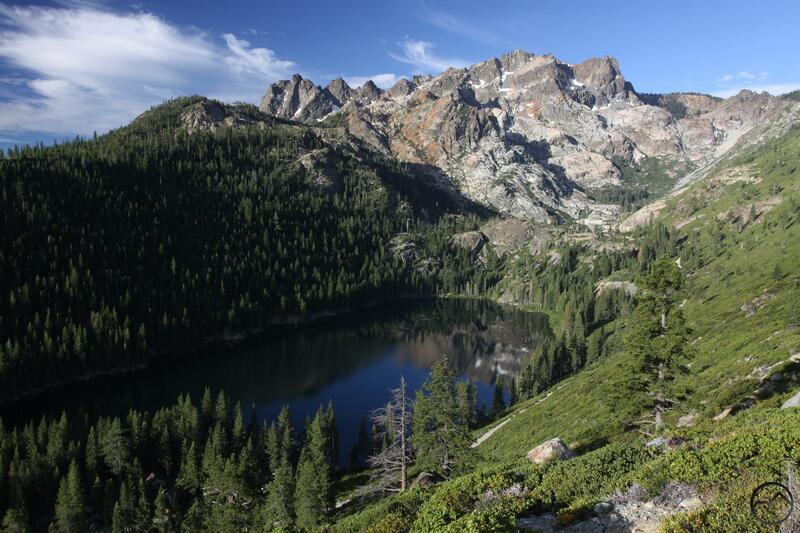 Even though I have two more trips planned for this summer, the majority of these are located in the High Sierra and, while these are utterly spectacular, they similar geologically and lack the diversity of the trails I hiked on this trip. 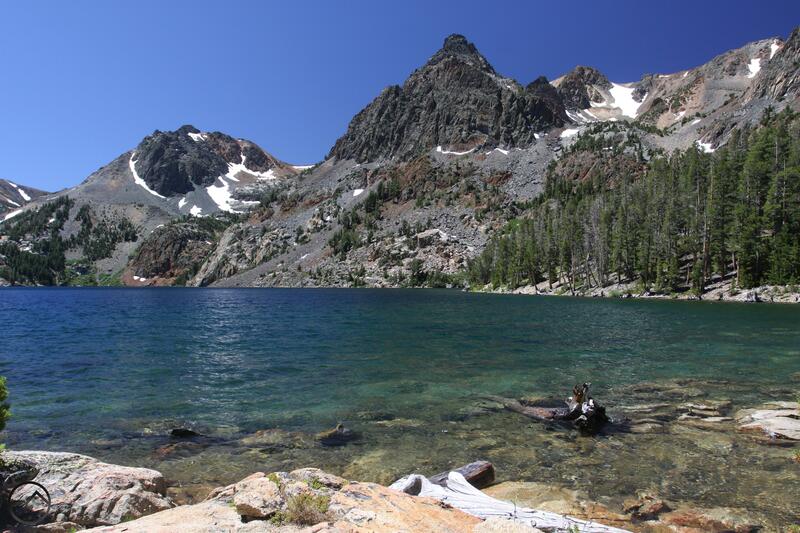 The first trail I completed on this trip was to Glacier Lake in the Sierra high country north of I-80. This region is filled with lakes and lots of rugged peaks but lacks any formal wilderness or recreation area designation. Nonetheless, there are a host of great trails, craggy mountains and beautiful lakes in this region. 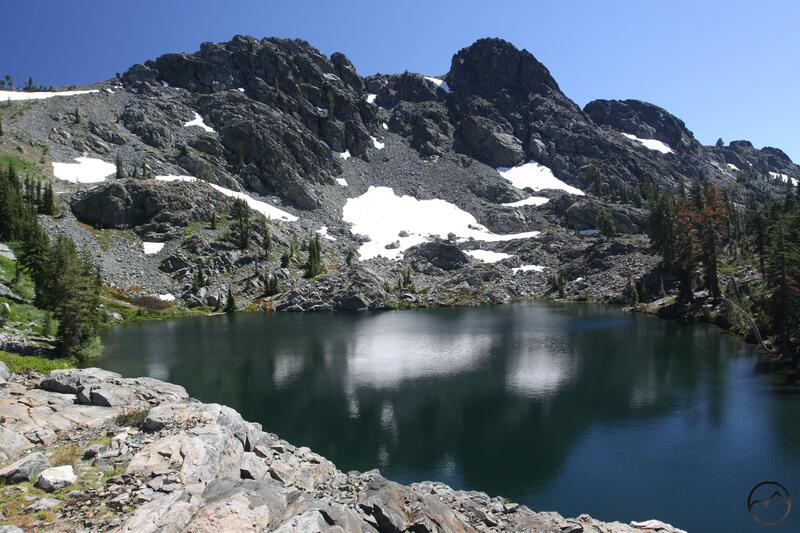 The path to Glacier Lake begins with fantastic, panoramic vistas and then travels across meadows and glaciated granite before arriving at the small lake set at the base of the brooding Black Buttes, one of the most impressive peaks in this part of the Sierra Nevada. Moving south through the Sierra from the Cascades, the Sierra Buttes is the first instance where travelers get an idea of the awesome mountain splendor that the Sierra Nevada is capable of. A towering, seemingly inaccessible jumble of crags and spires, the buttes are an astounding sight. Numerous lakes are scattered this mountain, the largest of which are the Sardine Lakes. The hike to the summit is one of California’s epic trail journeys. It is capped by an exhilarating climb up stairs mounted on the very edge of space to the the lookout tower mounted precariously at the summit. The northeast corner of the catwalk around the lookout tower extends out over the abyss, with the opportunity to look down, below your feet at the 1,000 foot drop to the rocks below. When thinking of the Sierra Nevada, the thing that often comes to mind is granite. 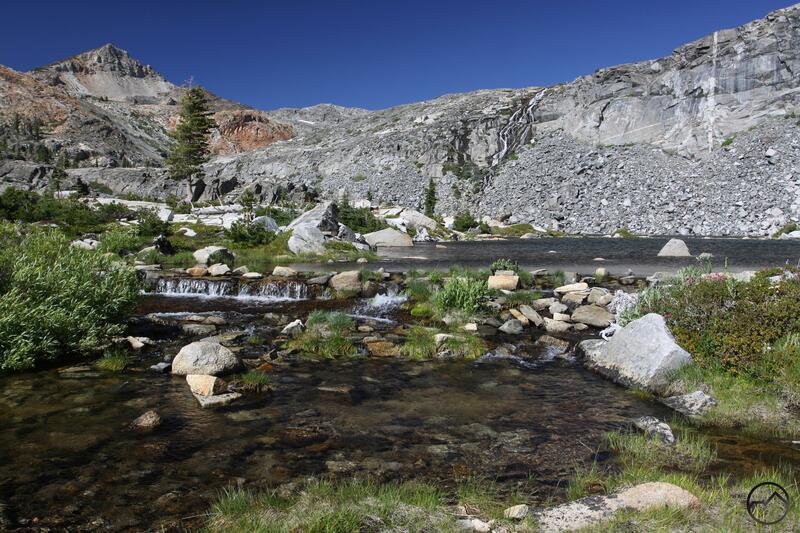 Though present in the northern part of the range, it is in the Desolation Wilderness’ Crystal Range that the promise of a vast, seemingly endless wilderness glacially polished granite is first fulfilled. The third hike I did on this trip was the Twin Lakes and Island Lake on the range’s west side. The trail crossed over expansive granite slabs and ran parallel to beautiful, cascading South Fork Silver Creek. Once at the lakes, a beautiful waterfall poured over the cliffs behind the twin lakes while delicate wildflower gardens, small ponds and lush meadows lined Island Lake. The highlight of the Desolation Wilderness is the spectacle of island studded Aloha Lake beneath the stark wall of the Crystal Range. It is a scene worth of the High Sierra that lies further south and a harbinger of the scale and marvel of what is to come. The hike there involves a water taxi across the Echo Lakes and a hike through the Tamarack Lake basin before descending through open forest and meadows. Once at Lake Aloha, there is a seemingly endless amount of exploration to be had, capped by a scramble up an unnamed dome where a magnificent panorama of the Desolation Valley can be had. A lollipop loop on the way back passes alongside lovely Lake of the Woods. 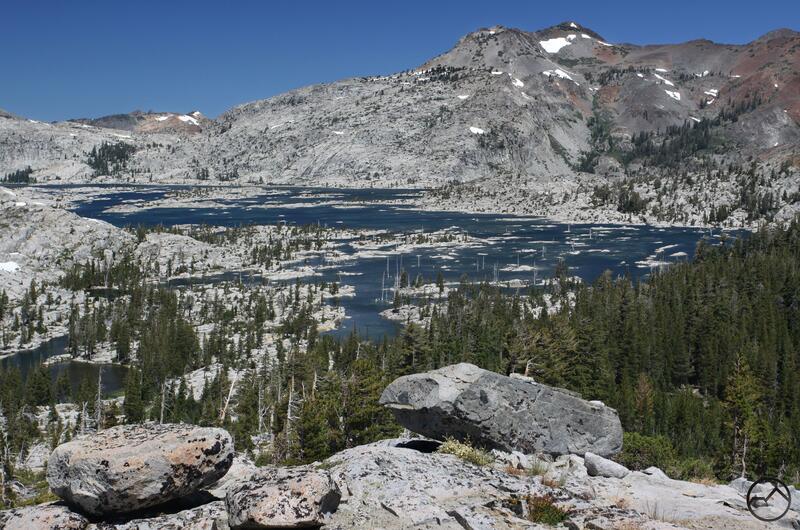 As if hiking to Lake Aloha was not enough for a full day, in the afternoon, I made the loop through the awesome Round Top area in the Mokelumne Wilderness. 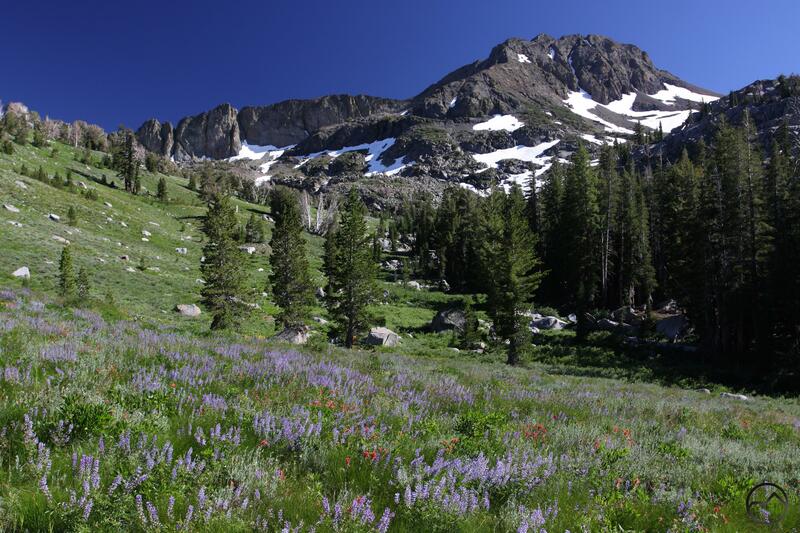 Towering Round Top looms majestically over meadows with riotous wildflower displays. The trail loops past two excellent lakes while climbing just about to treeline. 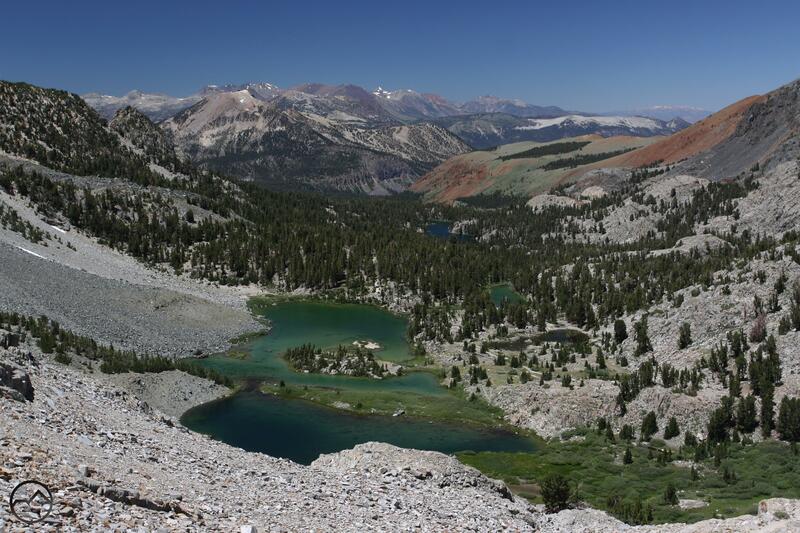 Views of the Carson Pass area and the northern end of the Mokelumne Wilderness were great. 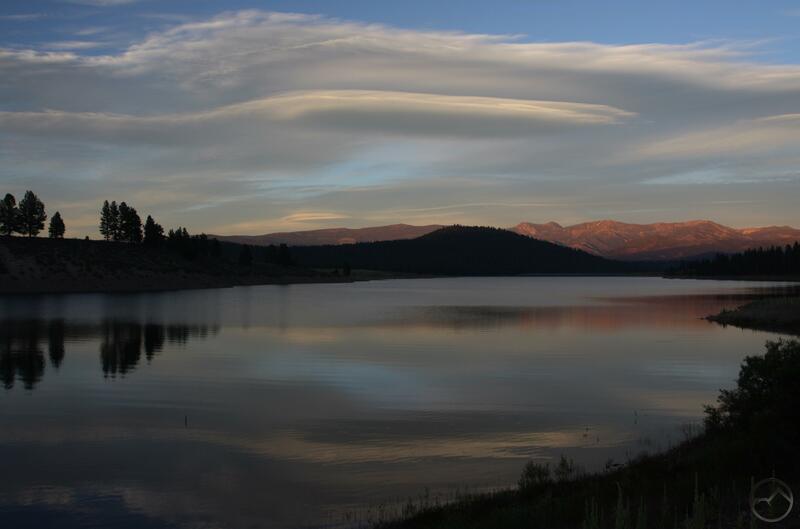 However, on the evening I was there, they were highlighted by another lenticular display, which seemed to manifesting in the same location from two nights prior. 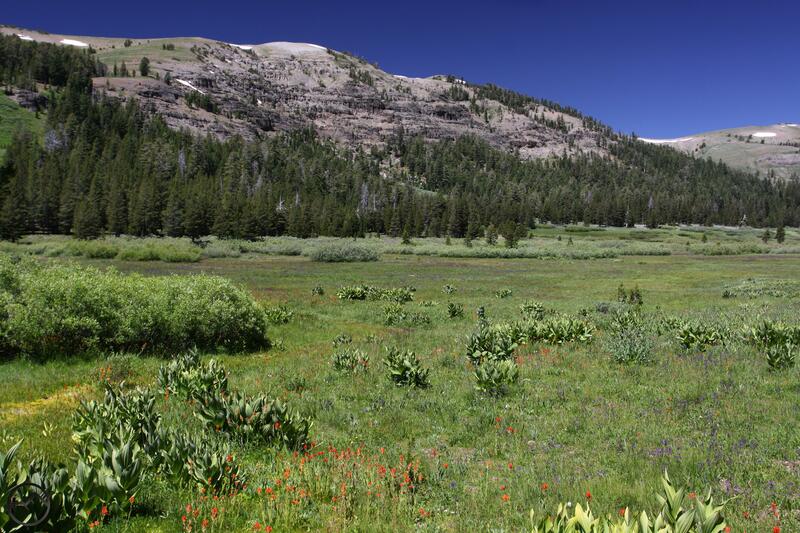 The following day was spent hiking through the volcanic lands of the Dardanelles Roadless Area, south of Lake Tahoe. This area is very different from what one would typically expect from the Sierra Nevada but it is utterly gorgeous. In many ways it is reminiscent of the Warner Mountains, in far northeast California. 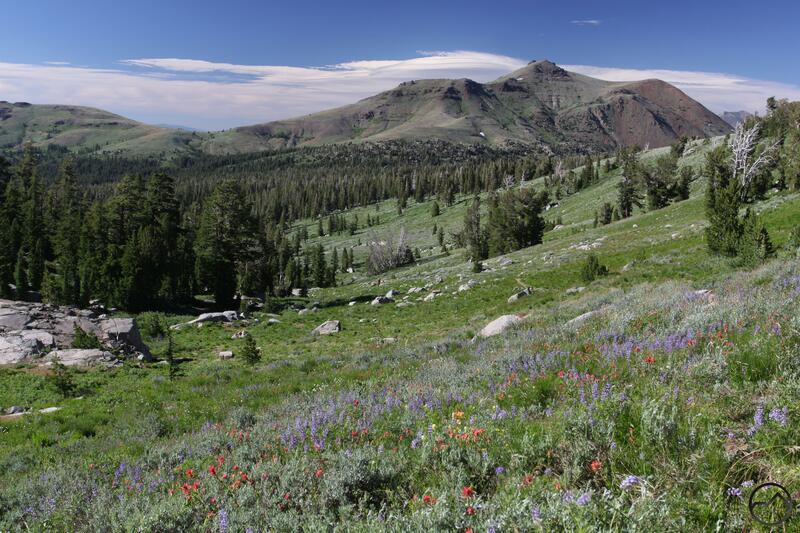 The trail crosses over a divide at Carson Pass and then follows the Upper Truckee River through a vast meadow with an exceptional wildflower extravaganza. This hike ended at Showers Lake, where the terrain began its transition to the granite more common to the north. Near the lake is a great view of Lake Tahoe. After so several days around Lake Tahoe, I finally headed to the High Sierra. My first stop was at the Green Lakes. 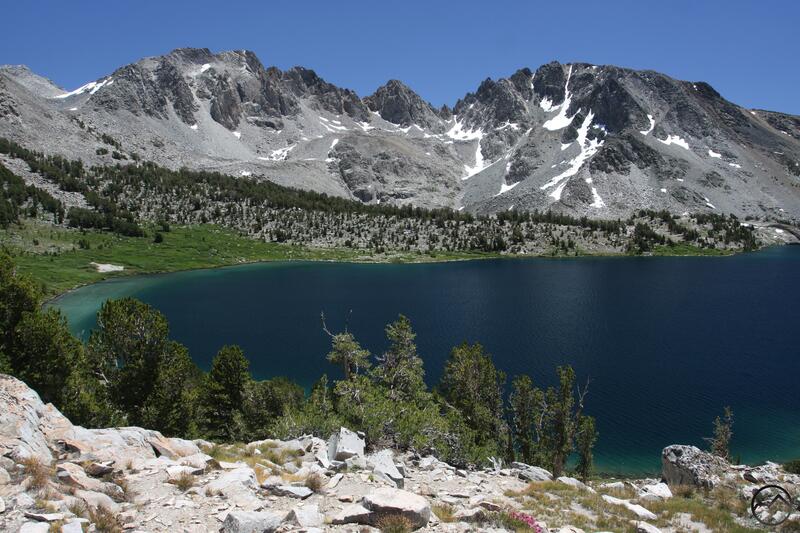 This astounding collection of lakes is found in the central part of the Hoover Wilderness. Here many-colored cliffs tower over azure lakes. The scale of the mountains here is epic and the unusual geology of the rocks offer sharp contrast to much of the rest of the Sierra Nevada. This hike passed by 7 named lakes and numerous tarns, all the while passing beneath the impressive bulk of 12,374 foot Dunderberg Peak. This exceptional corner of the wilderness was very lonely and it was not until late in the day, as I neared camp that encountered anyone. After spending the night camped out with my brother and his family near Mammoth Lakes, I hiked over Duck Pass to Duck Lake. 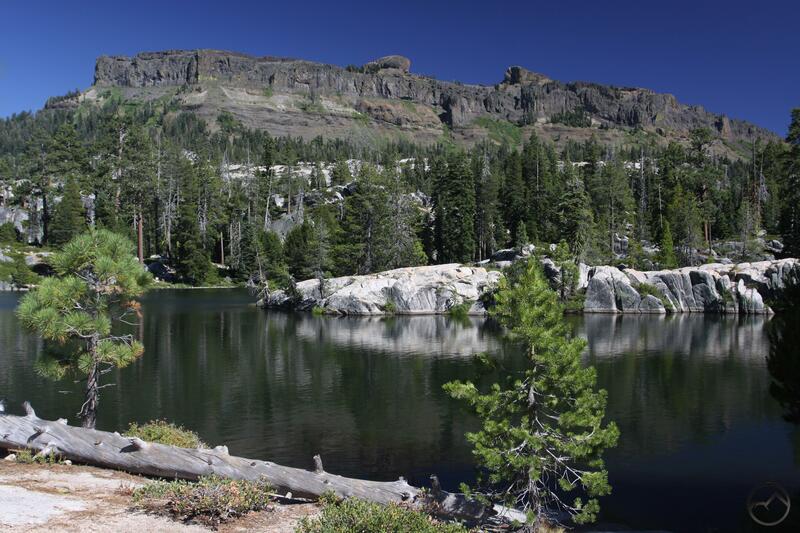 This is one of the largest backcountry lakes in the Sierra Nevada and it is classic High Sierra Terrain. The sense of vastness is highlighted by the monumental peaks and the vistas of mountains far distant lining the horizon. It is epic to say the least. 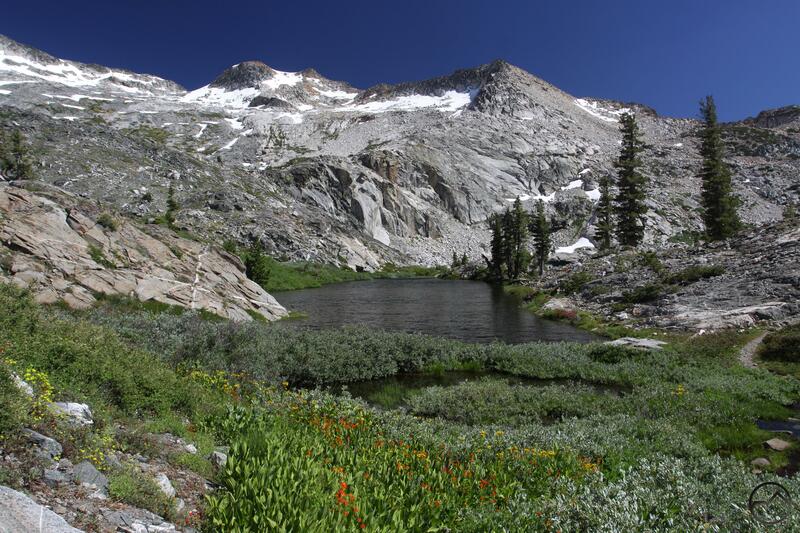 To get to Duck Lake, hikers must pass several smaller lakes and ascend 10,800 Duck Pass. Thankfully, this was just a taste of the High Sierra and there will be many, many more like this on my next trip in August. Following that initial foray into the High Sierra I headed back north and spent the day hiking around beautiful Leavitt Meadow. Here the high desert meets the High Sierra. The terrain is very arid but the views of the stark white towers of northern Yosemite give the trail a very alpine quality. In addition to visiting three surprising lakes (given how dry this country is), the loop passes along the edge of Leavitt Meadow and comes into close contact with lovely West Walker River. The penultimate trail hiked on this trip was to Sword Lake, found in the Carson-Iceberg Wilderness. This is a less-frequented region in the central Sierra Nevada that consists of a vast granite area overlaid with dark volcanic rock. Few places yield up such a stunning visual example of these different rock types as do Sword Lake. The granite-lined shore is overshadowed by the presence of the dark, brooding Dardanelles (different from the similarly-named volcanic features near Lake Tahoe). The contrast between the dark brown rock and the white granite of Sword Lake’s shore is a visual treat. The final hike I did on this trip was through the volcanic high country of Sonora Pass to pretty Sardine Falls. 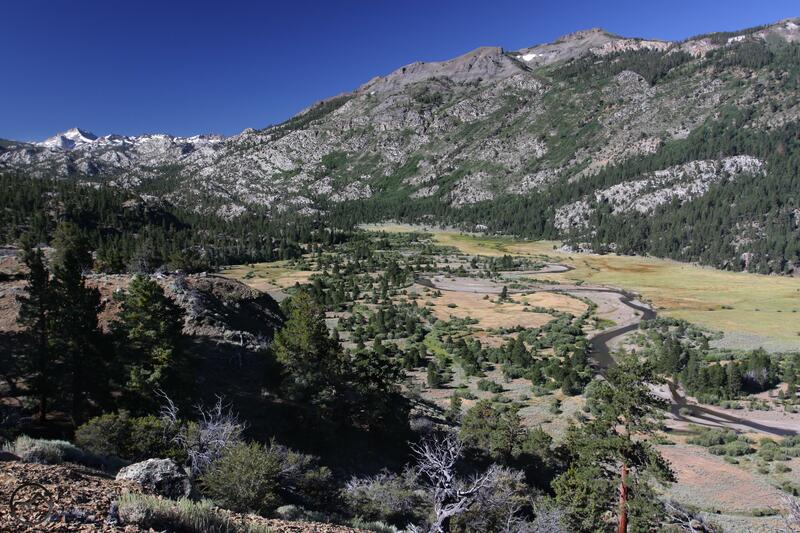 This hike is an easy opportunity to explore this unusual part of the Sierra Nevada. Little, if any granite is to be found here and all the peaks are dark and foreboding. In many ways this area seems more like the Rocky Mountains than somewhere in California. That sums up the trip. It was good, but my feet are sore. If you sent me a question or message during the last couple of weeks and I have not answered I apologize. I do appreciate the support and encouragement as a work on this new guidebook. Thanks much for sticking with me through all these non-Mount Shasta posts! Looking at these photos, I think I can almost taste the water and the air of these mountains! (Oh, I know, I shouldn’t taste the water…) So glad I am planning to be up in the Sierras myself in only a week – When I come down again and want to re-live the experience I’ll return to this post. Just read your quote in the latest issue of Backpacker. Awesome! Not to bug you, but is it in the August issue?